can we make our own? how can you call them? Appearance: Alex is a lean, well-built man of a height of 5'11 with light tan skin, silver eyes, lightning shap mark on his right eye, and short spiky blonde hair. 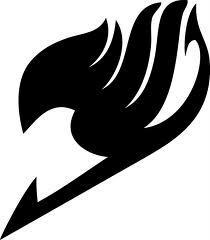 His guild member's stamp is color silver and is located on his right arm below his shoulder. He always wears the necklace Lars gave him when he was young. Alex also wears a bracelet on his right wrist and a ring on his right middle finger. He wears a tight fitting black sleevless shirt with gold fur lining the edges. Alex has white pants held up by a black belt with the Ten Wizard Saints symbol as the belt buckle. He sports a chain on the right side of his pants and wears black shoes. He now wears a dark green jacket with grey fur lining drapped over his shoulders. Personality: He is goofy and annoying but can be serious at times. He is a little shy at first, not loud but not quiet, super fun. Personality: Is extremely nice like Jellal but becomes extremely scary when she's mad like Erza but is serious and finishes every job without destroying a town. History: she grew up hearing stories about the great Fairy Tail and how her mom was the great Erza "Titania" Scarlet and how her father was once possessed by an evil wizard but was saved by her mother's friends. At age 12 she had decided to join Fairy Tail and took and passed the S class test as age 13 , now 16 has to help take care of her 12 year old brother and help out those in need. Personality: she doesnt want people to get to close to her, so she pushes them away, she has a temper, and she gets into fights a lot. When she makes a friend, they mean the world to her. She is very insecure, but doesnt show it. She is very strong willed and she never gives up when she sets her mind to something. She rarely ever smiles. She try's to keep her emotions bottled up inside her. When she gets mad, she gets extremely mad and can be in a bad mood for days. She likes being alone. Alex: *reading the Wizard's Weekly* Looks like Fairy Tail destroyed another town. Why dont the Magic Council just disband them for the trouble they've caused? Lexi: Then there is no more fun. By the way, I need you to deliver these papers to Master Laxus of Fairy Tail. They are papers for a truse between our guilds. Alex: Master Laxus, I have something for you !!!! Laxus: Now listen up !!! 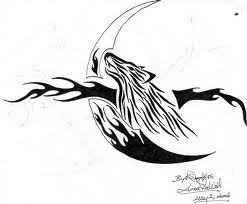 Recently there has been a peace treaty signed between Fairy Tail and Midnight Wolf. The reason behind it is because of the dark guild Demon Slayer. Neither one of our guilds can take on alone, so to fix that, we formed an allience. Lexi: From now on we will be getting to know each other better. Our guild wizards will go on jobs requests will wizards from the other guild. My wizards will always be availiable to team with except one. That one is one standing behind me. He is the only S-Class Wizard Midnight Wolf has and my personal bodyguard. His name is Alex Valentine.